OSAKA - The lights flashed, the music swelled and glittering confetti streamed down onto a stage filled with culinary luminaries. It was the moment of truth, the denouement of an intense, year-long and worldwide competition. 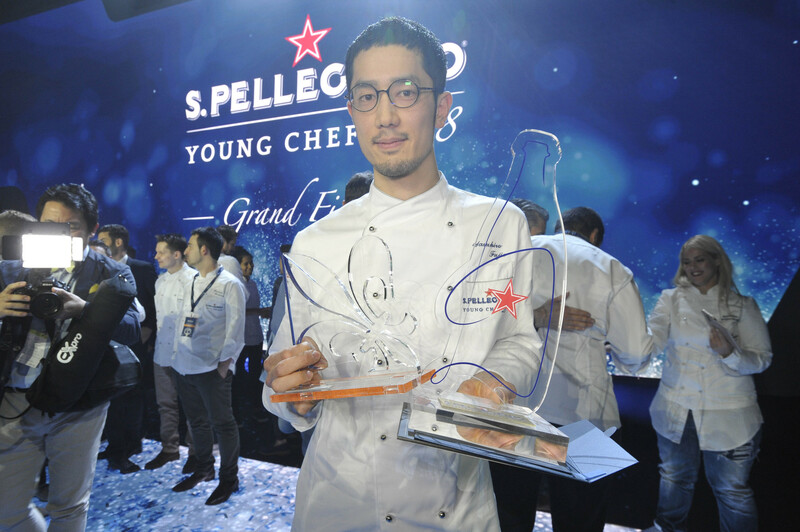 And there in the spotlight, receiving the winner’s trophy as S. Pellegrino Young Chef 2018 was Yasuhiro Fujio. That May night in Milan, the 30-year-old Osaka native appeared stunned. And although he eventually managed to crack a smile for the cameras, he was unable to relax sufficiently afterwards to string more than a couple of tongue-tied words together in interviews. Three months later, he still seems equally astonished by his success, and barely more voluble. We meet in a quiet side room at La Cime, the modern French restaurant in his hometown where he has worked as a sous-chef for 5 ½ years. He is serious, pensive and soft-spoken, and comes across more like an academic than a culinary artisan. It’s a trait that very much reflects Fujio’s unconventional career path. Unlike most chefs, he did not enter the world of cuisine until he was well into his 20s. 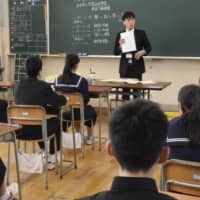 By that time he had been through university in England, where he majored in accounting, and then did postgraduate studies in business administration in France for three more years. It was during his stay in Paris that Fujio realized he wanted to change direction. 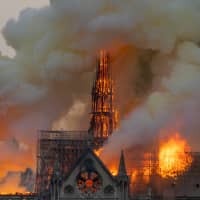 The catalyst for this was dining at the Parisian restaurant Passage 53, and meeting its chef, Shinichi Sato, the first Japanese to be awarded two Michelin stars in France. 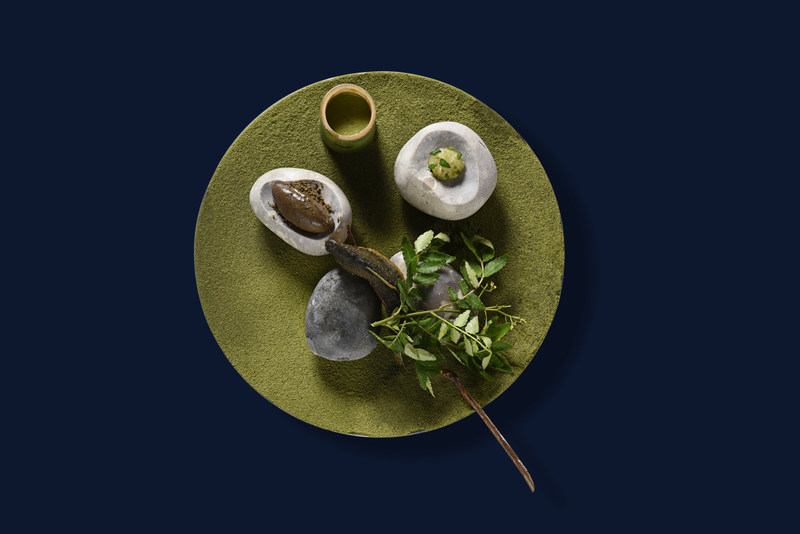 After staging there for half a year, he did stints at two other high-end kitchens, Mirazur (in the south of France) and Frantzen (Stockholm). But, as he readily acknowledges, his formal hands-on training has been his five-plus years under La Cime’s head chef, Yusuke Takada, who has held two stars since the 2016 edition of the Osaka Michelin Guide. Fujio says it was originally Takada’s idea for him to enter the Young Chef competition. 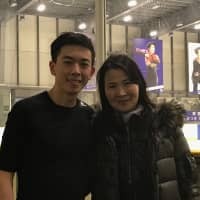 His first attempt, two years ago, was unsuccessful, but he decided to try again, and surprised himself by winning the Japan regional competition and qualifying for May’s grand finale. The main ingredient for his dish was ayu (sweetfish), a small, trout-like river fish that is one of the iconic foods of summer in Japan. Prepared using French techniques but presented in a very Japanese way, it was conceptually brilliant with a powerful visual impact, representative of his cultural background and the local terroir — and also of the contemporary cuisine served at La Cime. It was a much refined version of that same ayu dish, now officially named “Across the Sea,” that wowed the international panel of judges — chefs such as Virgilio Martinez (Central Restaurant, Lima), Margarita Fores (Grace Park, Manila), Brett Graham (The Ledbury, London) and Dominique Crenn (Atelier Crenn, San Francisco). 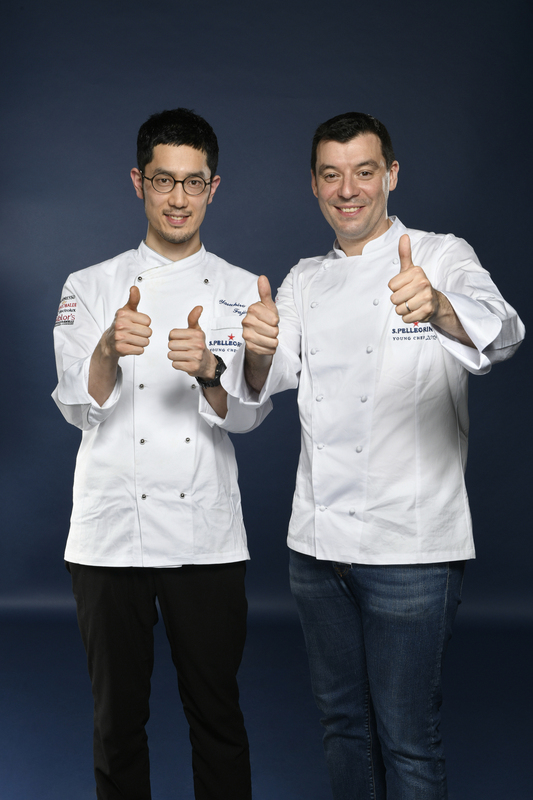 To guide him through the preparations and the actual event, Fujio had an official mentor in chef Luca Fantin, who has held a Michelin star since 2011 for the modern Italian cuisine he serves at Bulgari Il Ristorante Luca Fantin in Tokyo’s upscale Ginza district. Having served as a local jury member in the previous two competitions, Fantin was the perfect person for the job: He knew the system and the setup, worked with many of the judges who would be making the final decision and knew what they would be looking for. But he was not optimistic. The celebrations are long over now. Back in Osaka, Fujio shrugs when he’s asked if the win has made a difference to his life. He says he has some promotional events coming up in the autumn but apart from that, he is just focusing on his work. Does he intend to use this experience as a springboard for the future? His reply is typically modest and self-deprecating: “I have no plans yet for striking out on my own. There is still so much for me to learn in the kitchen. 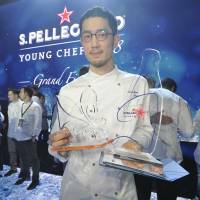 “Yasuhiro Fujio’s win at the 2018 Young Chef competition keeps the gastronomic spotlight firmly focused on Japan. 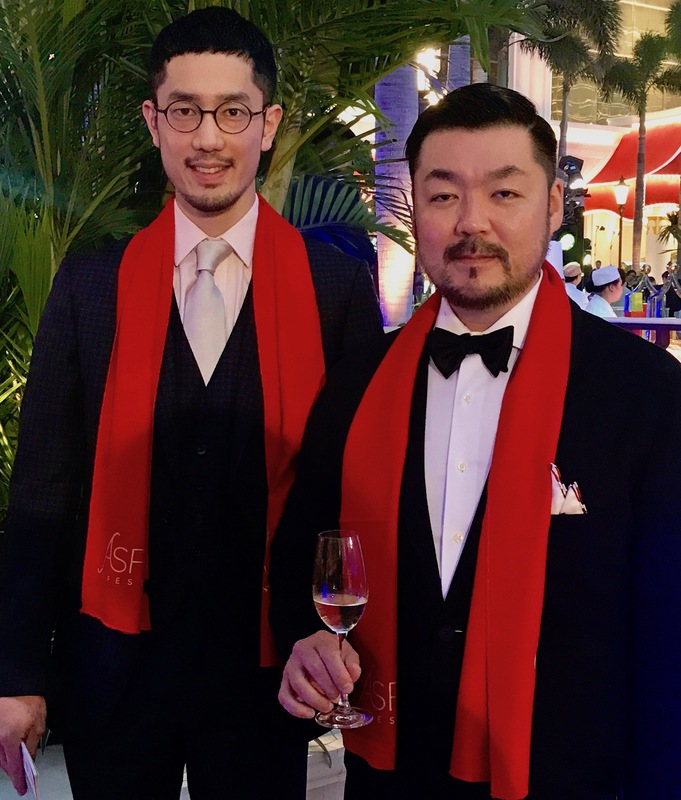 Coincidentally, the two chefs who played key roles in his triumph, Yusuke Takada and Luca Fantin, have already been making waves in the international arena, as both were named for the first time in this year’s Asia’s 50 Best Restaurants rankings. 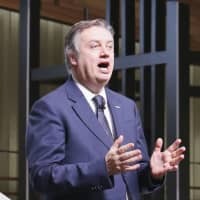 Fantin added to his cachet as the only Italian chef in Japan to hold a Michelin star, with Bulgari Il Ristorante Luca Fantin taking 28th position on the list. Meanwhile, Takada did even better, as La Cime was catapulted to 17th place, winning the Highest New Entry Award. How has the local media reacted to these successes? With indifference, according to Takada. “There was nothing in the Osaka media after Fujio’s win,” the La Cime chef says.